We have been spending a lot of time at The Royal lately. 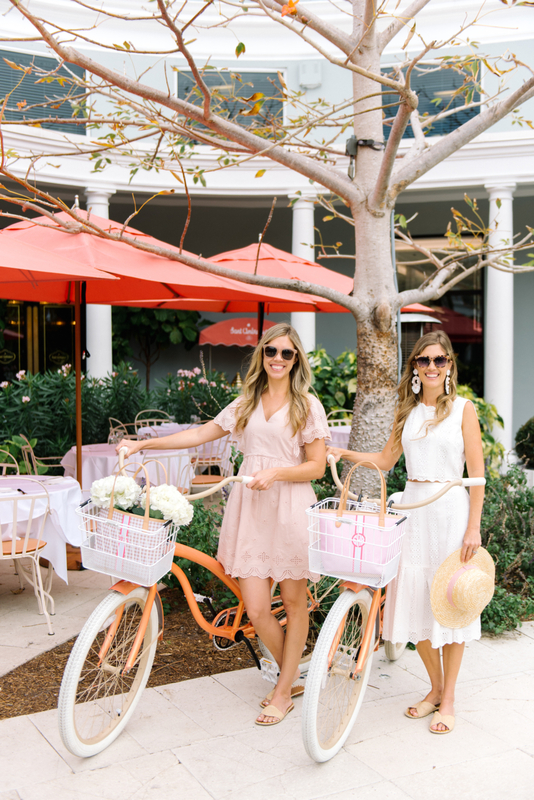 In the past week, we rented bikes at the Palm Beach Bicycle Trail Shop, picked up mini sandwiches from the bakery at Sant Ambroeus, enjoyed the Easter Egg Hunt on Saturday and tried their newest restaurant, Coyo Taco <which is sooo good, we can’t stop thinking about it>. 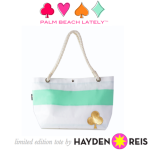 Today we are showing you a peek at the beautiful plaza and sharing the new spring totes we are loving right now! 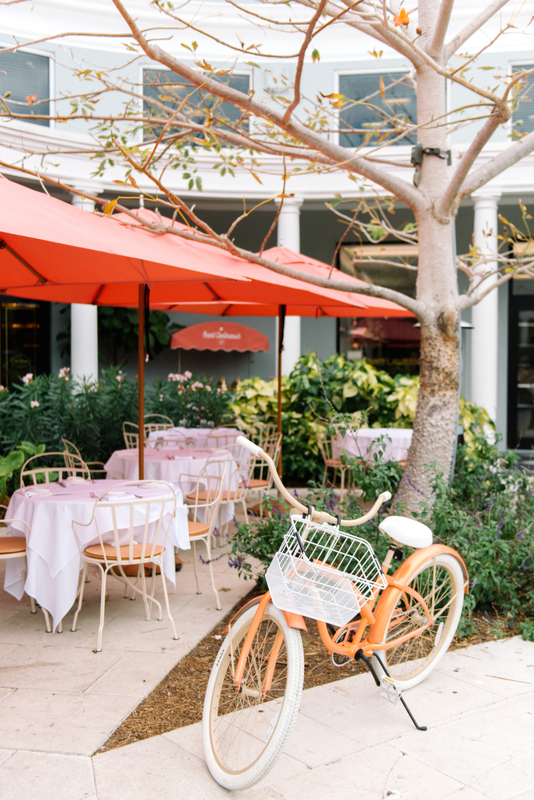 Beth: One of my favorite spots at The Royal is the al fresco dining area with two matching bikes and a gelato cart in front of Sant Ambroeus. 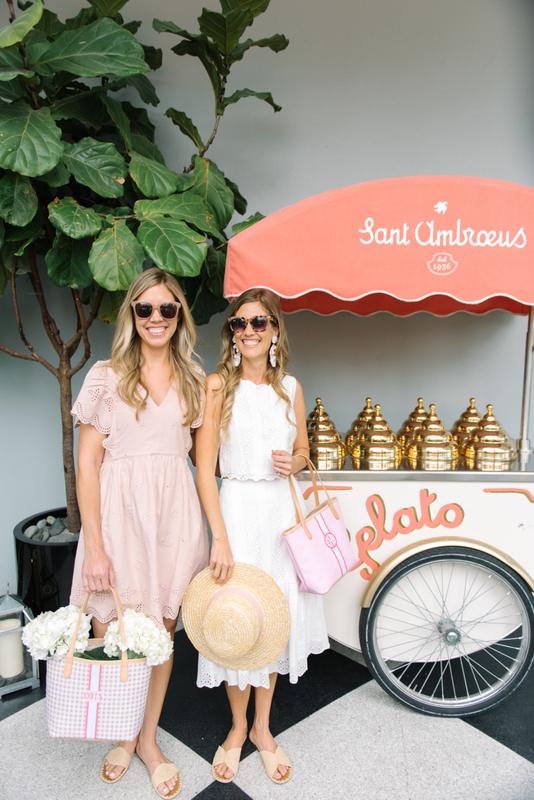 Every time we are here, I want to snap a pic of the gelato cart because it’s so cute – and the strawberry gelato is yummy, too! 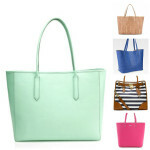 On this day, I wore my new petite pink tote by Barrington gifts. 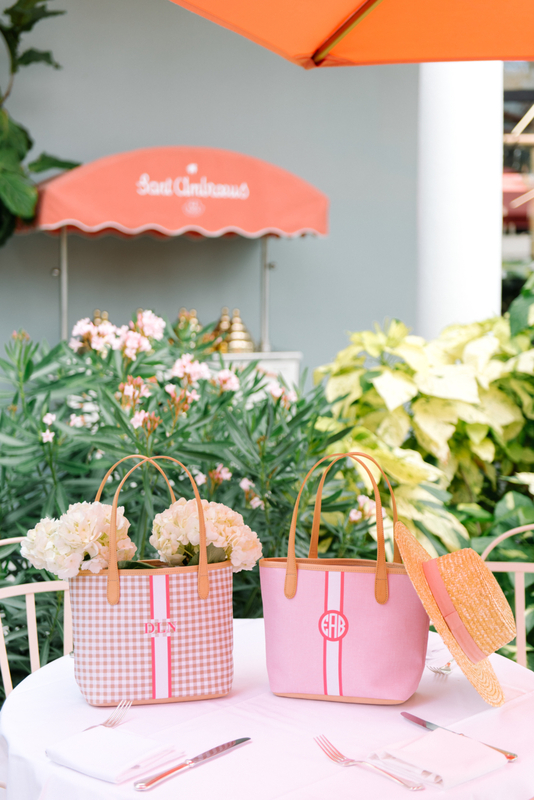 It’s called The St. Anne Petite Tote and looks pretty with a white eyelet outfit <similar>, blush boater hat and raffia sandals! 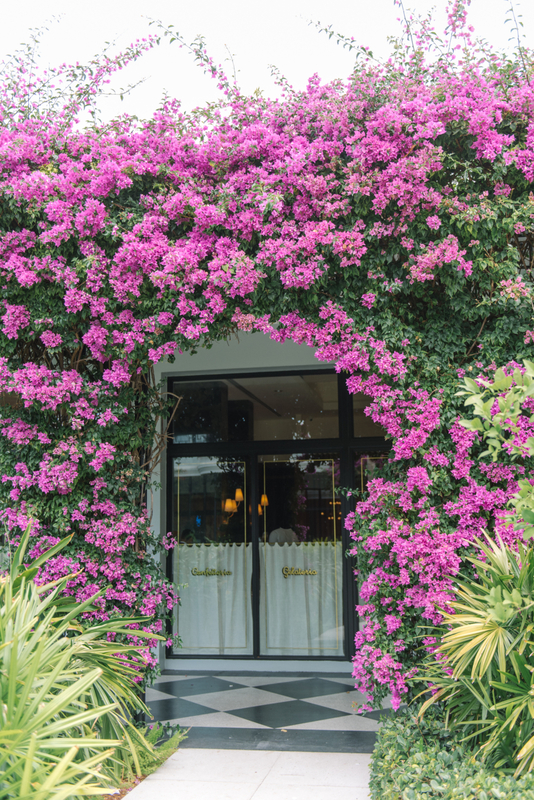 Danielle: With spring in full bloom, I am in love with all of the fresh florals and greenery around The Royal. 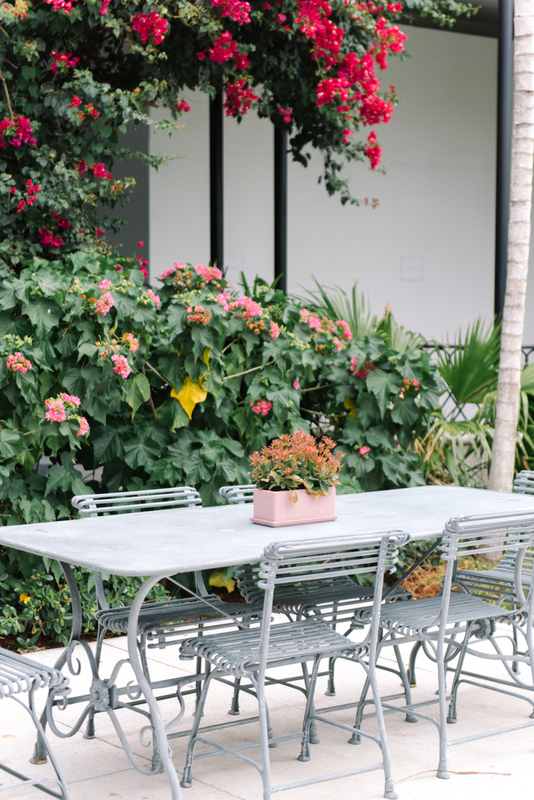 Their two courtyards are bursting with pink flowers and various palms, and we love enjoying organic smoothies and bowls from Celis Produce at one of the tables or bringing the kids to run and play on the lawn. 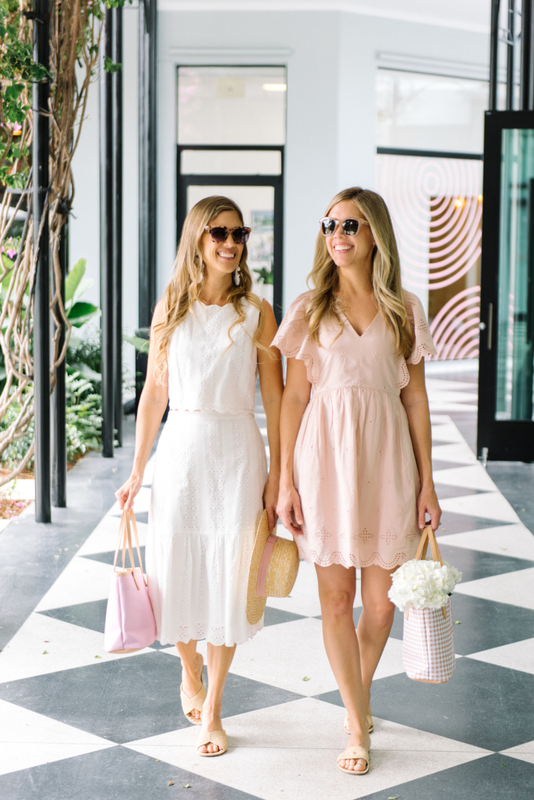 On this day, I paired my new St. Anne Petite Tote in gingham with this blush eyelet dress <note: it runs big!> and raffia sandals!